I put this next to my bed and it is a beauty!!! the quality of the wood is sturdy!!! However the mirror itself gets dusty and needs to be clean at least every 3-4 days. But worth the price!!!! Highlight your home's farmhouse style with this weathered grey full-length mirror. The frame has a slight wood grain texture and includes wall mount hardware to place this mirror in your bedroom, home office, or hallway. Dimensions 33.0 In. X 1.0 In. X 67.0 In. This mirror was VERY well packed, came perfect, the package was extremely tall and heavy (so you will need help carrying it in). It is a great mirror but it is a DARK grey color. The picture on the website shows more of a white and light grey color. 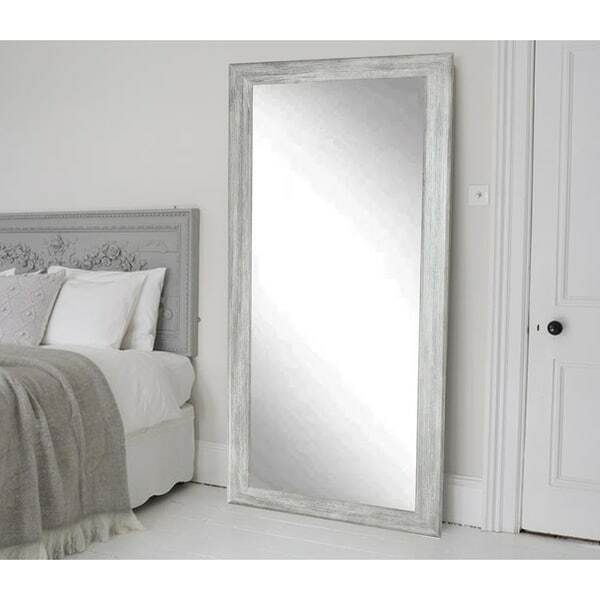 I ordered this mirror grey to match my bed and it is just perfect, the picture really shows what this mirror is. I love it although it is bigger than I thought, heavier than I thought. The color and quality is even better than the one showing in the picture. I love it! Pretty mirror with the weathered barn wood look. Large needs large wall to hang or lean against. Great mirror. The gray is darker than what is pictured online. But it added a gorgeous touch to my client's gray and pink bedroom. Very sturdy. Nice,good quality mirror. quick delivery, good packed . It brought much light to my bedroom and made it bigger. Every time, passing the mirror, looking in it and am glad that I have bought it. 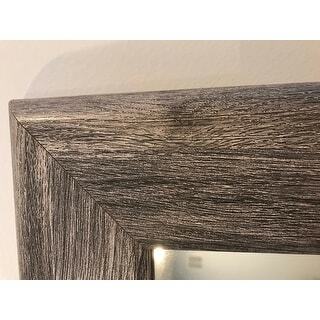 While I would rate this mirror a 5 based on quality alone, I’ve docked a star because the color is a few shades darker in person with some warmer undertones than how it appears in the listing photos. Other than that, this mirror is very heavy and study. Love this mirror ! I get so many compliments. Approximately 35 to 40 lbs. "What is the measurement of the mirror itself , without the frame? Thanks"